January of 2014 Emory University, Rollins School of Public Health celebrated International week by introducing to its students and guests to the country of Georgia. With the support of Honorary Consulate’s office, Emory displayed beautiful traditional Georgian souvenirs, arts and crafts. Guests enjoyed Georgian traditional cuisine, Georgian wine and fun demonstration of Georgian cooking of traditional Cheese Bread, as well as presentation on Georgian alphabet and calligraphy. 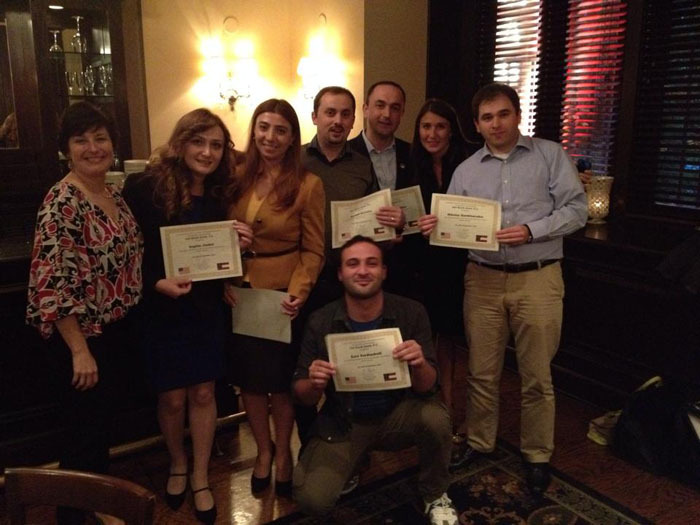 GEORGIAN DELEGATION IN ATLANTA VIA OPEN WORLD PROGRAM, 2014. 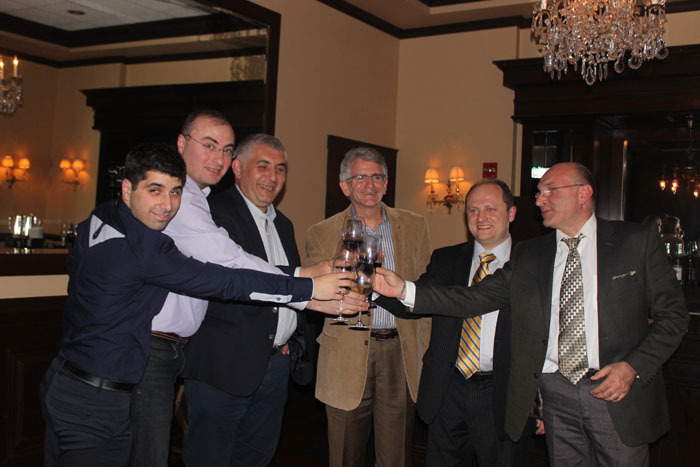 ATSCC together with GA2GE continues its long relationship with Open World Programs by hosting Georgian delegates from various cities in the country of Georgia in Atlanta. 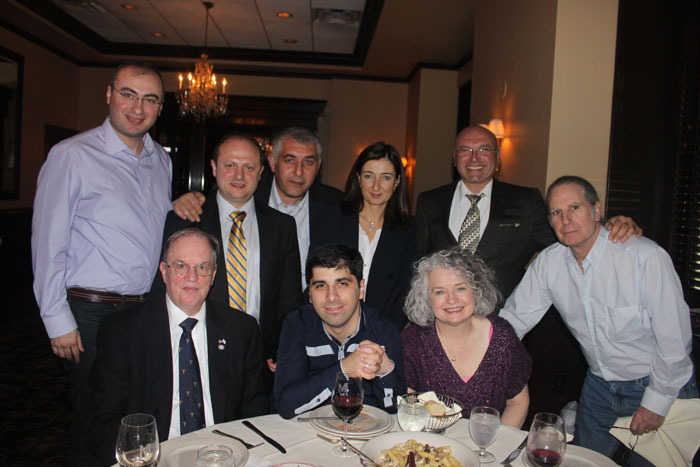 In the April of 2014 we hosted another Georgian delegation with the concentration on Rule of Law. The delegates included: Judge with Tbilisi Appeals Court, Senior Administrative / Financial Manager, Democratic Institute for International Affairs; Judge with Tbilisi City Court, Attorneys, Prosecutor and Head of the Monitoring and Analysis Unit, L.E.P.L. Legal Aid Service under the Ministry of Corrections and Legal Assistance of Georgia. Schedules for the delegates were tailored based on their interests and experiences. Some of the most memorable meetings were with Judicial Qualifications Commission State of Georgia Jeff Davis, Director; tour of Fulton County Jail, The Prosecuting Attorney’s Council of Georgia, meetings with Judges and hearings at the courts. Delegates also got a chance to visit local attractions, Coca Cola Museum, CNN center, and greatly enjoyed spending time with their host families. 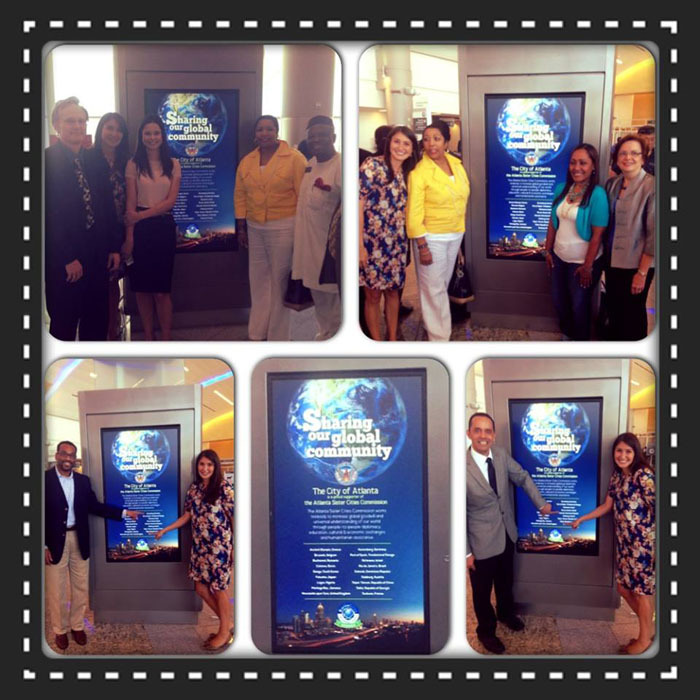 Atlanta's 18 Sister Cities were recognized with a 3D panel on the new kiosks at the Maynard Jackson Atlanta International Airport. Proud to have been part of this venture and to have TBILISI, GEORGIA recognized and displayed! Atlanta International is the busiest and most efficient airport in the world, we are honored to be part of its daily endeavor. 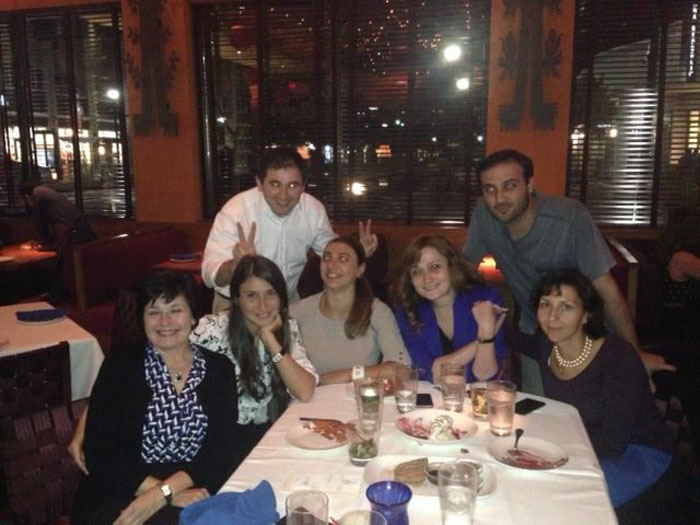 GA2GE volunteers together with the office of International Visitor Leadership Center hosted a dinner gathering. These visitors are invited to the United States under the auspices of the Department of State's International Visitor Leadership Program. Visitors included: Executive Director, Caucasian House, The Centre for Cultural Relations; Head of Justice Department, Office of Public Defender of Georgia; Caucasus Project Coordinator, NGO Saferworld; Correspondent, Radio Free Europe / Radio Liberty site, Echo of the Caucasus; and Journalists. It was an informative and interesting meeting full of cultural and political discussion. Atlanta Tbilisi Sister City Committee (ATSCC) participated in ATLANTA WORLD SHOWCASE at the Georgia International Convention Center, followed by Governor's International Awards. Over 400 visitors attended and viewed our display of Georgian cultural articles. It was an interactive evening where we had a chance to share with community and promote opportunities to invest, travel and discover Our Georgia. 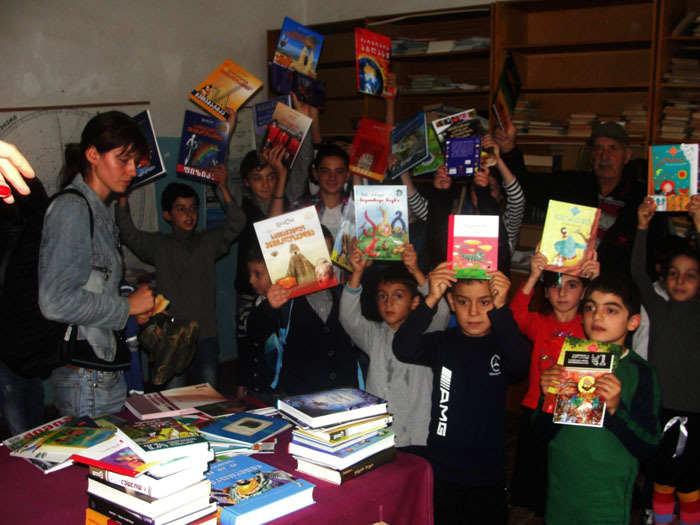 The children and youth of Kitski (Bori) School and Etseri School thank you all for your generosity. 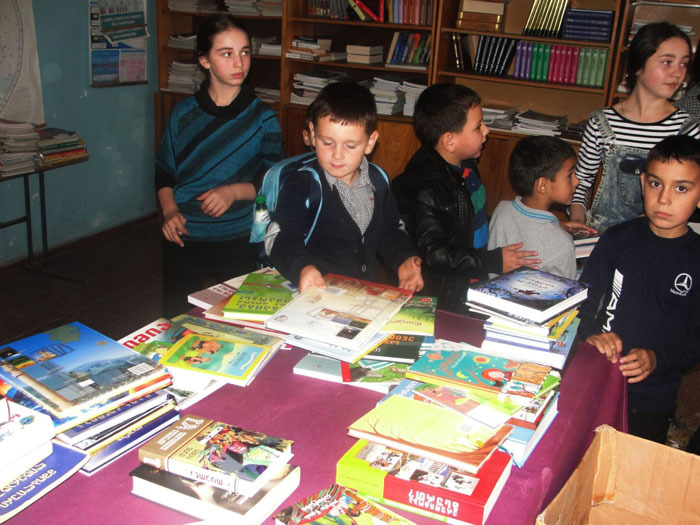 When they returned from Summer break, the children were awed by all the new books in their Library! 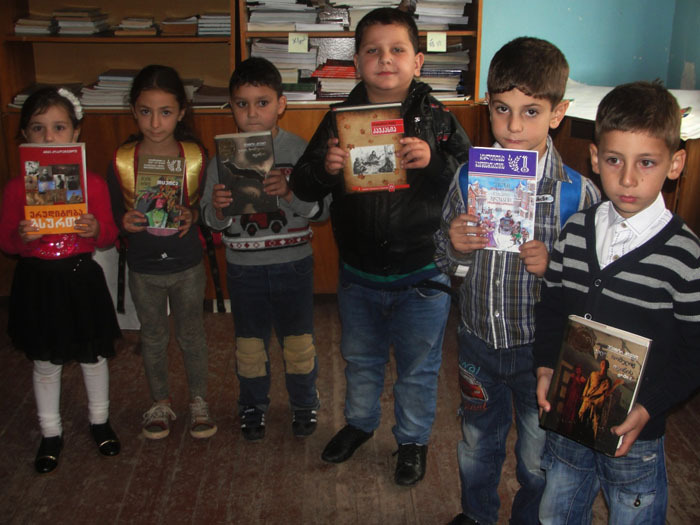 New books and research material are luxuries for these youth. There are over 240 children/youth at these two schools. 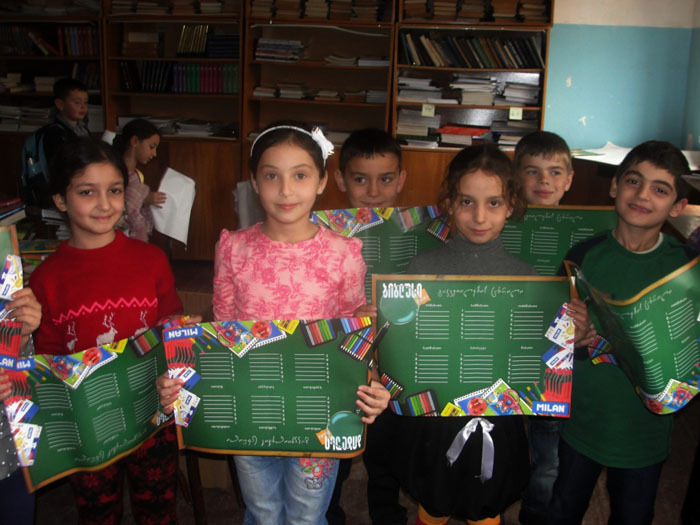 They are located in very rural regions ~ they lack basic educational materials (desks and chairs as well). With your gifts we have been able to purchase text, picture and research books for all ages from 3-18. Words cannot begin to express our humble thanks! THANK YOU OUR DONORS. Personal Information, Head of the Professional Development and Career Management Center, Prosecutor's Office of Georgia; Judge with Tbilisi City Court; Journalist, “Liberali”; and Project Manager, UNDP. Schedules for the delegates were tailored based on their interests and experiences. Some of the most memorable meetings were with Judicial Qualifications Commission State of Georgia, First Amendment Foundation, tour of Fulton County Jail, The Prosecuting Attorney’s Council of Georgia, meetings with Judges and hearings at the courts. Delegates also got a chance to visit local attractions, Coca Cola Museum, Human Rights Museum, CNN center, and greatly enjoyed spending time with their host families. 3rd Annual GEORGIAN CHRISTMAS TREE AT THE FERNBANK MUSEUM OF NATURAL HISTORY, ATLANTA. ATSCC volunteering team of local Georgians organized and sponsored a display of the Annual Georgian Christmas Tree at the Fernbank Museum. Georgian ornaments decorating the tree represented cultural traditions and holiday crafts found through different regions in Georgia. The colorful dolls, flowers and hats displayed traditional regional textiles and dresses while the wooden instruments (panduri) represented musical traditions. Felt flowers and ornaments highlighted the holidays while showcasing the Georgian tradition of felt-making.